2025 NW 140th Ave, Pembroke Pines, FL.| MLS# A10564829 | Susan J Penn l Best Agent l Buy & Sell South Florida Homes! AMAZING HOLIDAY PRESENT FOR YOUR BUYERS. Single family home in the MUCH DESIRED neighborhood of PEMBROKE FALLS! Selling one of the most popular models, the MONTEREY! Waterfront home with 4 bedrooms, PLUS a den/office, and 3 bathrooms. BEST CURB APPEAL IN THE NEIGHBORHOOD! 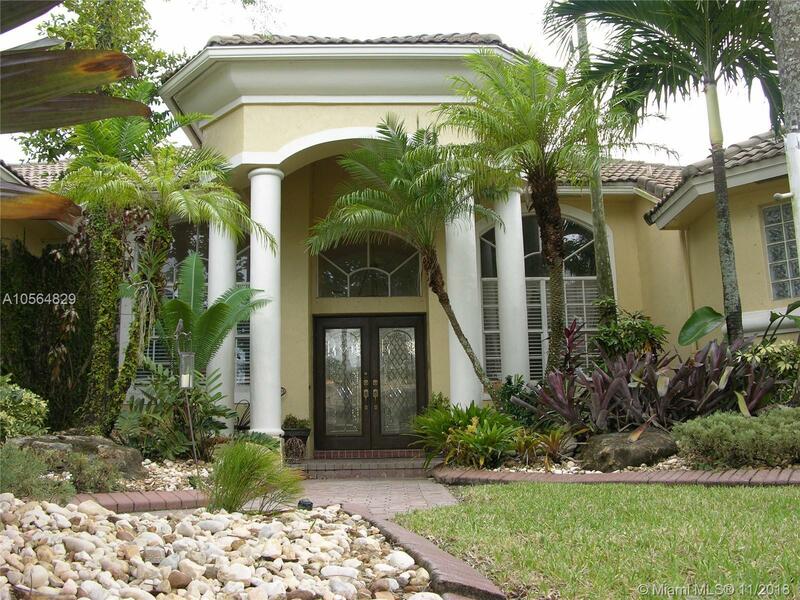 Beautiful lush landscaping with SEVERAL tropical palms, including Royal Palm trees. YOU MUST SEE TO FULLY APPRECIATE THE DETAILS. Enjoy the Florida sunrise every morning as it glistens over the water with lake views throughout the home. Relax in the evening on the patio with TRAVERTINE pavers while you BBQ, eat dinner, or simply enjoy the evening breeze while reading a book under the Pergola! Updated appliances throughout the home! Wood floors in all the bedrooms including Brazilian hardwood floors in the Master Suite! Directions: Please Check Gps. Sheridan West Of Flamingo Or East Of 75. Drive To Pembroke Falls Main Entrance**pass Guard Gate** Straight To 4 Way Stop Sign. Turn Right And Drive To Entrance Of Palm Cove. Right To 140 Ave. House To The Right.